Anyway, we covered three basic tenets of WordPress Categories and Tags. We spoke about the duplicate content issue, Google indexing issues, the compelling need to use every feature and the SEO benefits of categories. So what are WordPress Categories and Tags? Well WordPress is content management software. The categories and tags are two of the bells and whistles that were designed into the software to make it easy to organize your content. 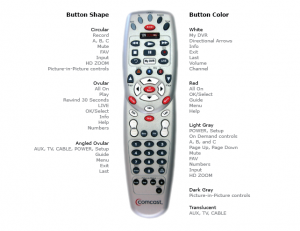 But like a TV remote control, you don’t have to use all the buttons. For a long time Google considered meta-tags and the meta-description in their algorithm to help decide the relevance of each webpage. But because people abused the tags and started “stuffing” them with keywords, that part of the algorithm now weighs much less. So they really just organize stuff. So here’s the SEO problem with this nice WordPress feature. Google is only going to index this article once. That means it is only going to know one url of the post. So if you didn’t use the “read more” button and Google indexes it on the tag/corn-dogs page, then that’s where it is going to send people who search for corn dogs. So what happens if you get people to link to it by another url. . . perhaps the yoursite.com/baseball-stadium-foods url? That would mean that you’ve got a lot of incoming links to that url while Google knows a different url. That means when Google is ranking your page, it won’t see that there are incoming links to it because it’s looking for links that have the /tag/baseball in them. That’s a problem. One of the lesser known features of Categories (and tags) is the description field. In your dashboard if you click on Posts and then Categories, you can then see all the categories you’ve created for your site. If you then hover your mouse over the category name a drop down box will open and you’ll see the “edit” button. Click that! That gives you access to that category’s settings including the name of the category, the category slug and the description. The description box is quite small and seems useless, but it is a powerful tool. The description box shows up at the top of the page when you’re on your site and come to that particular page. Since the description box allows html and text, you can create an entire page there. You could have a menu of articles in that category, a static keyword-rich description, another article. . . whatever you want. That will become a static part of the page and below that you’ll see the reverse chronological order of the blog posts in that category. It’s a great way to make a scrolling page have something static for the search engines to cling to. . .